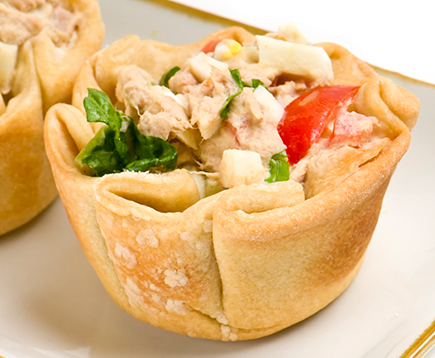 Forget chopping, dicing and draining – our mouth-watering tuna salad is ready to enjoy! 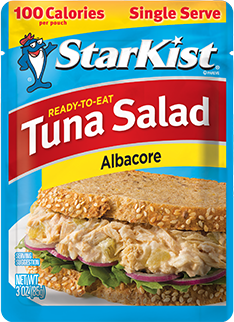 For our albacore tuna lovers, our StarKist® Ready-to-Eat Tuna Salad Albacore has the same great flavor you expect from our albacore tuna, mixed with celery and water chestnuts for crunch and a tangy, relish-flavored sauce. 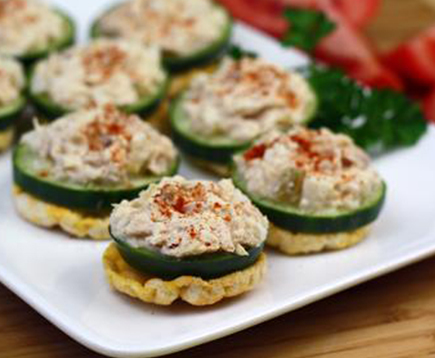 StarKist Ready-to-Eat Tuna Salad Albacore contains 80 mg of EPA and DHA omega-3s per serving. And at 100 calories per pouch, no wonder it was recently selected as one of Women’s Health 125 Best Packaged Foods for Women as well as of SHAPE Magazine's best snacks!